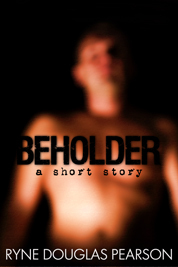 Note: Beholder is a short story (approximately 5,000 words), and is included in the collection Dark and Darker. If you own Dark and Darker, you already have this story. ‘Walter Royce clawed his eyes out when he was nine. Then again when he was twelve. And a final time on the day he turned nineteen. After that he gave up and closed them. So begins a terrifying story by screenwriter (Knowing) and novelist (Simple Simon, Confessions, and more) Ryne Douglas Pearson, where two police officers step inside a suspect’s personal hell, and discover just how close they are to the real thing.